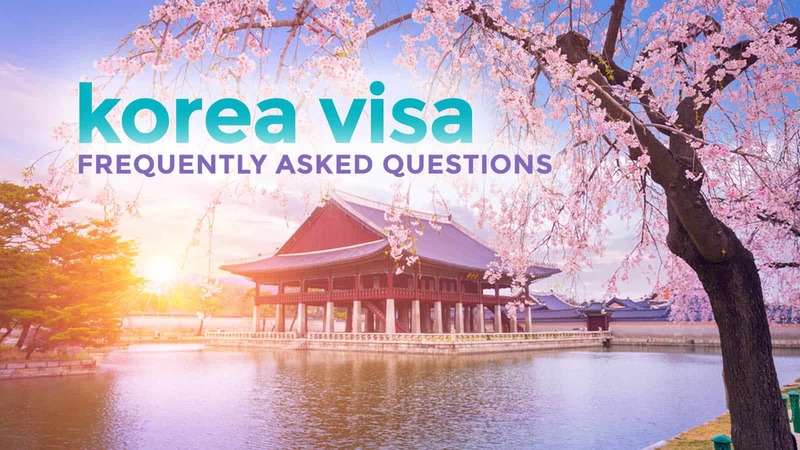 We know South Korea is one of the most popular destinations among Filipinos because there’s not a day that goes by without us receiving questions about getting a Korea visa. Hence, we decided to put up this post. Note that we’re NOT employed by or affiliated with the Korean Embassy in Manila. We’re only writing based on our own experience applying for one. (We have applied three times so far, and everything went smoothly every time.) We’re publishing this simply to have a page that we can redirect users to when they ask us questions about the application process. And because this post is limited to our personal experiences, we can only answer questions about applying for a TOURIST visa as an employed, self-employed, or freelancing Filipino. For anything outside of this scope, it would be best to contact the embassy directly to have a definitive answer. What are the requirements for applying for a tourist visa? How to apply? What are the steps? Do I need a travel agency to apply? Do I need to book flights before applying? How about hotel reservation? Do I need to book hotels before applying? Should I stay in the hotel I wrote on the application form? How long does it take to process the application? I have OECD Visas. Does it mean my application will be approved? How long can I stay in Korea if I am granted a visa? Can I submit just the bank certificate? How much money should my bank account have to get approved? I’m a freelancer. I don’t have a Certificate of Employment. What can I submit? I’m a student with a part-time job. Should I apply as a student or an employee? I don’t have an ITR. What should I do? How early should I apply for a Korea visa? Can I apply months before my actual travel date? Can I apply just one week before my intended date of travel? Do I need to show up to submit the documents? I need to explain something. Will they accept a cover letter? What is the address of the Korean Embassy? 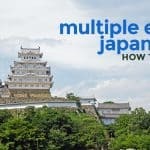 Is it possible to apply for a multiple-entry visa? What are the common reasons why Korean visa applications are denied? If my application is denied, can I apply again? What does a South Korea visa look like? What is the Visa Issuance Confirmation in Section 2 of the Application Form? One of the requirements for employees is the company alphalist. My company doesn’t want to release their copy because it’s confidential. What can I do? YES, unless you’re applying directly in Cebu. The Korean Embassy in Manila requires tourist visa applications filed starting July 1, 2018, to be coursed through any of their designated travel agencies. However, the Korean Consulate in Cebu is not affected by this and will continue to accept walk-in applicants as they did. If you’re applying in Manila BEFORE July 1, 2018, you can still work on the application yourself. It’s fast and free. However, if for whatever reason this isn’t a practical option — you live in the province, you just can’t spare a working day for this — by all means, find a travel agency. Just remember that they will charge you a service fee. No. It’s not one of the requirements. I’ve tried submitting this before, they removed it from the pile. No. You don’t need it. However, make sure you have an idea which hotel you will be staying because it’s one of the required fields in the application form. You don’t need to reserve, but you need to know where you intend to stay. No. If your application is approved, you can pretty much stay in any hotel or hostel you want. 3 working days – for those applying in Manila with OECD tourist visas within the past 5 years. These are the processing times by the embassy. But because the agencies are now in the picture, the whole process takes much longer to give agencies time to collect, document, sort out, deliver to and pick up the passports from the embassy. Some embassies promise 5-7 days, some 7-10 days. It really varies per agency. Not necessarily. But you have better chances. And that the processing is a lot faster. Regular visas usually allow 59 days. You can apply for a longer stay. No. Starting October 2016, a bank statement showing transactions for the past 3 months is a required document. So you have to submit BOTH a bank certificate and a bank statement. I don’t know the minimum amount. I don’t think the embassy explicitly says it. But I have tried applying with P100,000 in the bank for a 4-day stay and got approved. I guess the key thing to remember here is that how much you have should be proportional to how long your stay is. 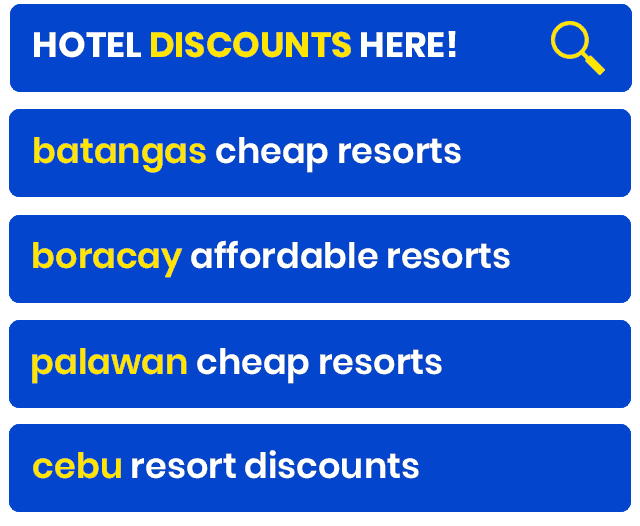 For example, if you have only P100,000, don’t apply for a 59-day stay because that would obviously raise a lot of questions regarding whether or not you can afford the trip. To give you a ballpark figure, the Embassy of France requires EUR 120 per day from Schengen Visa applicants. That’s around P7600 per day. Add the cost of airfare and hotel, and that should be the minimum amount in your bank. Again, this is not the official rule. We’re just using the French Embassy’s policy as an example. I have tried applying for a visa when I was a freelancer. What I did was, I requested for a letter from my clients that could serve as a certification that I was working for them. The letter also included what I do for them, when I was hired, how much I receive as compensation, and other details. Here’s the format I followed. The embassy accepted it, and my application was approved. HOWEVER, the Embassy seems to have been MUCH stricter these days, so I’m not sure whether or not they still accept something like this. I consulted a designated travel agency for the best way to go about this, and they said that it’s better to apply as a student and submit parents’ docs. They said that applying as both employed and student can confuse the embassy. They also said that part-time jobs are often viewed by the embassy negatively because it tells them 2 things: one, that you are not as rooted and as financially stable, and two, that there is a possibility that you will work there too. I honestly don’t know how to answer this because I’ve always had an ITR even as a freelancer. But according to some of our community members who have done this before, they included an explanation letter and other proof of sources of income in their application. If you have a target travel date, apply not earlier than 3 months before that. When a regular visa is issued, it allows the holder to enter Korea at any time within the next 3 months (90 days) of the issue date. So if your visa is issued on July 1, you can enter anytime before October 1. It depends on the agency. In theory, it’s possible because it takes AT LEAST 3 WORKING days for those with OECD visas and 5 working days for those without. However, travel agencies can make their own rules about processing time. It is good practice to have enough time allowance just in case something goes wrong. When the embassy feels like your documents are inadequate, they will call you to submit more papers, which can mean delay in the release of your passport. NO, usually. You can ask someone else to do it for you IF THE REQUIREMENTS ARE COMPLETE. However, every agency can implement their own rules. So it’s best to call the travel agency where you plan to lodge your application to be sure. Yes. I did once. They accepted it. FREE if your application is for 59 days or shorter. P1800 for 60- to 90-day stay. However, travel agencies will be charging a service fee for processing your application. Fee differs from agency to agency, but it’s usually between P700 and P1000. BPI Amore Visa Platinum cardholders: multiple-entry visa valid for 3-5 years. Gold BPI Express Teller Debit Cardholders : multiple-entry visa valid for 3-5 years. You can’t prove that you can financially support yourself on this trip. You probably have insufficient funds or your sponsor is not in a good financial standing. You can’t prove that you intend to return (rootedness). You probably don’t have a stable job at this point, newly employed, or newly resigned, and it’s giving the impression that you intend to work there. Your intention/purpose in Korea is unclear. This is why it is best to be specific when you’re detailing the reasons for your visit. Yes, but only after 6 months. I have no firsthand information about this. Thankfully, one of the members of our Facebook community, Ms. Caye Sadie, got in touch with the Korean Embassy to ask that same question, and here’s their reply. 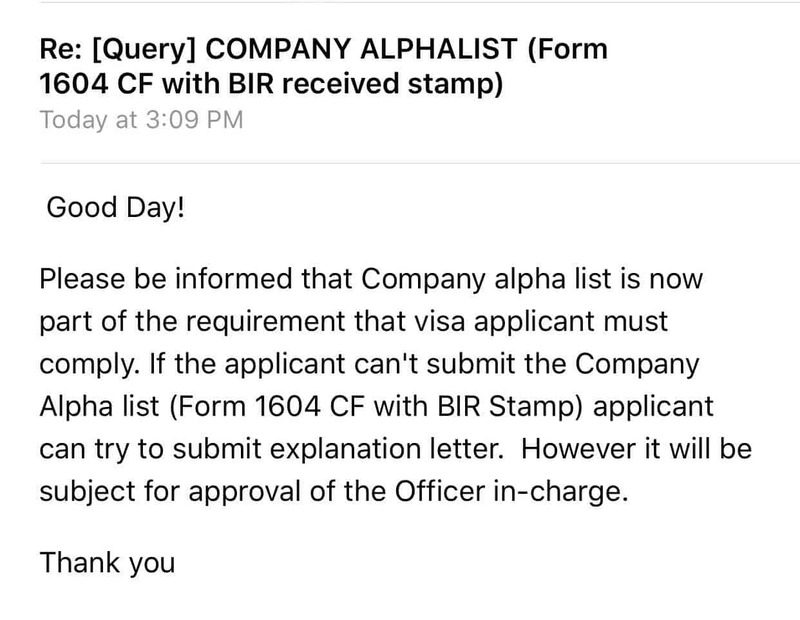 If the applicant can’t submit the company alpha list (Form 1604 CF with BIR stamp), they can submit an explanation letter. However, it will be subject to approval of the Officer-in-Charge. WHERE TO BUY JR PASS: How Much? Is it Worth it? Hi! What if I dont have a personal bank account? Then don’t apply, because it’s one of the requirements. If you don’t have a bank account but travelling or is being sponsored for the trip, then you can ask the person to provide the necessary requirements. I brought with us our yaya for the trip. I just provide a notarized affidavit of support. and in the application form, my name was placed there as a sponsor so in her application form, i also attached another copy of the Bank Certficate, ITR, and Bank Statement as proof. She was given a single entry visa. hi regarding to the sponsor matter. the one who will sponsoring me is my niece since our Birth certificate cannot confirm our relationship that much because she my cousins daughter it will not appear on our certificate that we have same surnames. can i just submit also a notarized affidavit of support? Hello..same with I am also a Yaya or helper.. I need the some info. About how to make a SK tourist visa..but I don’t have bank account. 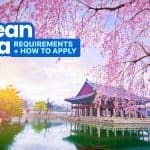 I have a korean employer and they want me to bring there to korea for vacation.but i don’t know how .and also what are requirements needed about this situation? Hi! I’m unemployed po cause I just graduated last July. My auntie got married with a korean. She told me that I can visit her in korea with all expenses paid. What should I do? Good day Mr. Flores! I just wanna ask, my mom’s just a housewife pero my aunt will shoulder my travel expenses. Will I still get a good chance for VISA approval if I add a notarized affidavit of support and/or cover letter? Thank you! Sa akin tinanggap kahit wlang bank account yung mama ko ! single parent din siya. Pero bank account ko ang ginamit sa pagpasa sa applcation sa SK tourist visa, bali naglagay lang ako nang Cover Letter para maexplain kung bakit akin ang ginamit! atleast na APPROVED naman yung visa ko . Hi! Currently, I’m unemployed and just waiting for my review for Architecure board exam which will start on Sept 3. I’m afraid my Visa application will be rejected. I already have a certification from my review center which states that I am enrolled and the details of my review. I also have my review center ID. What are the other requirement that I should pass? And also, my father will support my finances for the trip. But he will not travel with me. I will travel with my sister and mother only. Is this possible? I can also produce my own bank certificate for back up docs if ever needed. Would really appreciate for you reply. Thank you. Hi! I think we have the same situation. Currently unemployed since i am going to review pa starting this nov. Did you apply na ba? How did it go? Hello. Ask ko lang if ano nangyari w your applications bc I’m in the same situation rn. Thanks! Hello. May I ask how did ur applications go? I’m in the same situation kasi. Thanks! Hi! For example I applied for a korean visa using bdo gold and got approved on multiple entry. as long as it’s within the validity period of your visa. Hi po good morning ask q lang po twice na q nag apply for korean visa and twice din aq na denied. first is not qualified to entry to korea pero i have a complete requirements 2nd reason why i denied is they said my other documents is fake but is not.. i know nmn n mahigpit cla so why i am submitted a fake documents. this coming nov i try to apply again may i know if the reason why i am denied is naka record ba sknila un? kse kng dun cla mag babase so i dnt have any chance to entry korea. Did they say kung anong document ang fake daw? Hi! May I ask if its exactly 60days for the bank statment requirement? The bank that issued my BS starts from June 15 to Aug 30, 2018 balance. Is it questionable on the part of embassy? Hope you can answer my query. Hi Cher, the requirement has to be the past 3 months. 90 days, not 60 days. Hi! I’m unemployed po and a fresh grad. My auntie got married with a korean and now she’s living in korea. She told me that I can visit her in korea with all expenses paid. I got enough money in my bank account, valid passport, but i dont have COE an ITR. 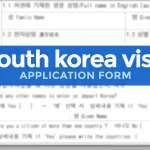 What should I do to be approved in korean visa? What letters should I make? Hi Krystal, usually sa ganyang case, you can write a letter of explanation why you don’t have a COE and ITR and proof to support your reason. For example, if your reason is kaka-graduate mo lang, submit proof of that. You also need proof of relationship with your aunt. Note however na hindi guarantee yung mga yan. Pwede pa rin nilang i-deny kahit inexplain mo and may proof. Hi po ask ko lang po denied po kc yung visa ko for South Korea,makakabpunta po ba ako ng jeju kahit na may tatak yung passport ko?kahit wala pa po ng 1 month? Hi Mr. Dimen. Is there a high chance of approval if may invitation from korean boyfriend but he will not shoulder any of my expenses? just a mere invitation for a trip in korea. Can I still include the invitation letter and copy of his passport as part of the requirements? Thank you. Hi Dongsaeng, yes, if you’re invited by a Korean, you must submit an invitation letter and copy of his passport. Re whether or not the chances are higher if may invitation, not sure. 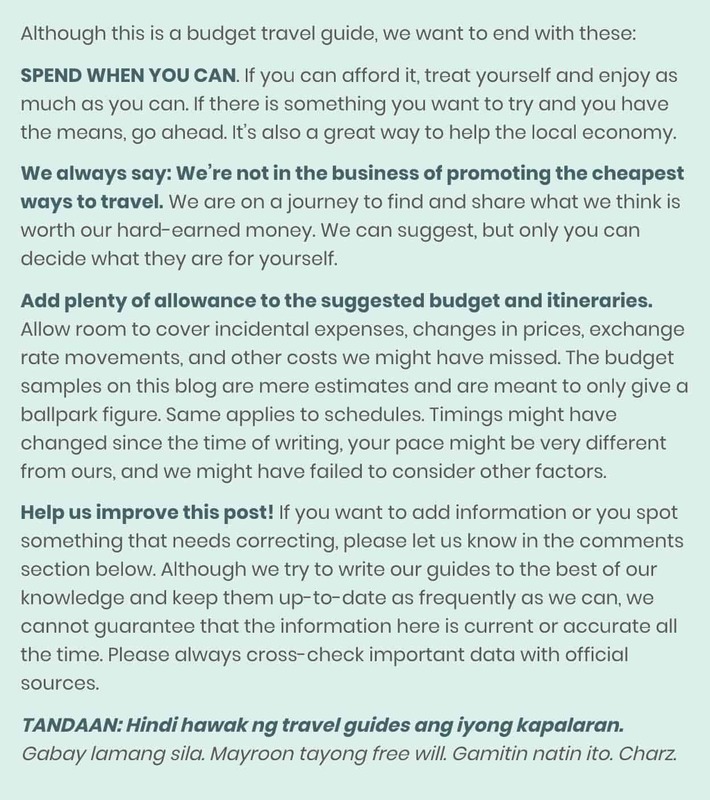 But I know na better ang chances if you can show that you can afford this trip and you’re employed, regardless of whether or not invited by someone there or hindi. So I think yes, if financially stable ka naman and employed, better ang chances mo kaysa sponsored ka by someone there. Hi Louise, naku, di ko alam. I think pwede pa, pero best to call DFA na lang to be sure sure sure. ask ko lng kung possible ba na magrenew ng visa kahit hindi pa expired? Hi, I have a US visa but I didn’t end up going to the US due to work. Do I still have to submit photocopy even if I don’t have the arrival stamp? Hi! I would like to apply tourist visa with my 3 children. Do i need to bring them to Korean Embassy when applying for visa? For my parents since im applying for us.. do they need 2 original bank cert and bank statement for my dad’s? He is retired.. my mom a housewife… since im applying for them will it not suffice? I wonder what happened to your appliction. Do you mind if I ask what requirement did you provide for your parents since we have the same case. TIA! Can you still get denied if you have a bpi/bdo gold credit card but is unemployed? Is COE still required? How come you have credit card if you’re unemployed? I’m also a freelancer. I registered myself as self-employed with my fullname as the trade name. There’s no need for you to register to DTI or SEC. I also don’t have a mayor’s permit. I was asked to get an Occupational Tax Receipt but the LGU from where I’m living doesn’t know about OTR so they just asked me to get a temporary mayor’s permit so I could register myself to BIR. Hi! I requested a bank cert last january for korean visa but i did not proceed. Can I still use the bank cert I requested last january for my korean visa application this June? I think you should request for a new one. hi. I also don’t have a certificate of employment because i’m a part timer, fresh graduate and i’m still reviewing for my board exam. Instead of having a letter written by a client can I instead have it written by my employer? Please answer my question. Thank you so much! i think it should be ok as long as the COE contains your position, date hired, compensation, office address, HR’s email and landline..the embassy may call your HR to verify your COE..
hi! when is the best time to apply for a korean visa? we are planning to go there by october. Hi. Dream ko mag tour sa Korea. Pwede ba ako mag apply ng visa kahit “not employed” ? Perhaps, if you have someone sponsoring your tour. Hello! What if ininvite ako ng korean friend then sya ung sponsor ko for accomodation, kasi sya ang mag bobook ng plane ticket ko papuntang korea at nasa korea siya. Kailangan ko pa din ba ng bank account ? At un employed po ako, ma approve po ba ? Kah, same tayo. Makiki kamusta sana ako. Naka pag apply kaba? Hi! I’m a bit confused about sa OECD Visa. What does it mean? Nakatira po ako sa US pero hawak ko pa rin is Philippine passport. Ibig sabihin po ba nun ay meron akong OECD Visa since taga US ako? Thank you in advance. Hi. I have a supplumentary BDO Gold. Would like to ask if you pursue your application using the supplementary card? Was it accepted even without Bank Cert and ITR? Hoping for your response. When is the time I can apply for a visa? If let’s say I am travelling by December? But as long as you have enough time for it to be processed, then around the month of September (2nd week), October or November will be perfect. Hi..my husband is working in korea and iam planning to visit him early next year ,can i stay there atleast 30 days with 50k on my account though my husband will support or finance my trip? Hi may friend po ako. Husband po nya american.. working sa korea for how many years. How many times na rin po silang balik balik sa korea. Pwede po b syang makakuha ng mas matagal sa 90 DAYS VISA.? Hi, have you tried passing your application for visa while on going pa yung renewal ng passport mo? My passport will expire this Dec 2017 and my travel will be on Oct 2017. I already processed my passport renewal last June 14,2017 (express) kaso may delay si DFA which will cause me to submit my old passport(Exp. Dec 2017) for the visa application next week. Will I be approved or denied? Thanks a lot po. Hi I know matagal na tong comment mo but may I know ano nangyari? If you were approved. Thanks! How much travel costs should I write in the application form? depends on how much is your estimated expenses for the duration of your stay in SK..for example if you allocated $100 USD per day and your stay is good for 4 days, then write $400 USD in your application form..just make sure your bank certificate has a balance that is more than your declared travel costs..
hi po…unemployed po ako,and I was worried na bka ma deny ang visa ko ksi wla akong mpasa na COE..Im doing tutorial as of now..at yn ang source of income ko.slamt po sa sasagot..God bless..
Hi! I wanted to ask what if you are a cabin crew and you wanted to get a visa but unfortunately, you won’t be able to surrender your passport bc of your internat’l flights? Is a photocopy of passport and company ID okay? I guess disregard this. Ididikit nga pala nila ung visa sa passport. So, di talaga pwede photocopy. Haha. Thanks anw. 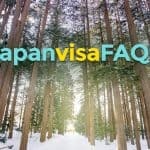 I would like to ask, I have a JAPAN Visa dated April 2012 in my old passport. Should I pass it for my KOREA Visa application? I will be applying my KOREA Visa this first week of Aug. Counted pa ba siya on the “5 year period”? Also, yun pa yung huli ko na trip abroad. So, walang ibang nakalagay sa old passport ko. Hi! Please help. My bank eastwest do not provide bank ADB and opening date in the bank cert even if I already told them I need it for visa purposes. They said they can give me separate print out of my ADB and prinscreen of my account opening date. Could I just attach these 2 to the bank cert? Do I need to make a cover letter for this? Hi po. Eastwest bank din po ako. Nagpasa po ba kayo ng cover letter or yung Bank statement na lang po talaga? Pinasa niyo din po ba yung print screen?Thank you po. Hi im planning to get a tourist visa together with my daughter and our friends. But in my case i will used the employment certificate of my husband who is already working in korea he has an e9 visa and one of the req is the itr but my husband dont have the itr is there a chance that my visa application approved? Hi! I’m currently unemployed, but I do family business na nakapangalan sa mother ko.. Can I use this us my source of income to get my visa approve? ask ko lang pano pag un-employed ka tapos wala kang source of income pero nakalagay sa invitation ng korean friend ko na sagot nya lahat ?? wala akong bank account.. ok lang kaya un ?? I’m really worried, the korean embassy just called in our office, sadly there is a problem in our phone so we need to cut the call and we were hoping for another call (for the whole day, but nothing happens). Is there any chance for them to call again? also I we are travelling for 4 and the 3 of us are employed to our mother’s business and we will travel with my mom. However, she has low banks statement (since she use it as an emergency) and I have bigger bank statement that so bothers me. Also she will guarantee my sister. What will I do? is the risk of denied visa is higher? Hi Kathryn, we believe it’s not a problem. Hi! Has anyone here got their visa application accepted but didn’t push through due to some circumstances? Do you think it will be harder to apply the second time around? Hello!!! I just want to ask about the freelance certification. Do I need a signature of our manager? What if he only sent it to me through email? Do I need to legalize it through notarization? Hi Grethel, I submitted a scanned version of a signed letter though. I didn’t have it notarized. But make sure your client’s contact details and your employment details are there. I have a bank account since 2016 that is exclusively for my payroll. Recently (almost two months ago), I opened another account where I placed my personal savings. This is also where I save money, enough for my planned travel to Korea. The embassy requires the original or certified true copy of a bank statements or passbook for the last 3 months and I’m planning to use the account I recently opened. But I would like to know if the bank statement of my recent (2-month-old) bank account is OK for my visa application. Hi Lou, if I were you I would submit both bank cert and bank statement for BOTH my payroll and saving account to show that I have 2 accounts. That’s what I always do. Regarding with you comment a year ago? I’m also currently in that position, may I ask if what happened to your application? i have my payroll account and i recently opened a savings account with 2 months old. Hi! My sons plans to go to Korea this November. They are currently working for their fathers business and they have no ITR. They have bank accounts in their names and their father will be giving them a certificate of absolute suport for thier trip. Will it be enough for them to be given a Korean Visa? Hi. I am planning to go to Korea with my younger sister as a graduation gift. I will be shouldering all the expenses, but I am wondering on what will be the process for her visa application since our parents don’t have a bank account or a business. Will my financial details suffice? And should I make a cover letter explaining the situation? Your answers will be a great help. Hi! My family is planning to visit S.korea end of this year. Im the head of the family, my concern is ” Do i need to submit 5 sets of documents? E.G Business and bank details, or just one set for the 5 of us is enough like the Japan Visa Application. 1. You mentioned that you provided a Certification before when you were a freelancer. If my client is from abroad, will a digital Certification / scanned copy be okay? 2. Since, if ever, I’ll just be starting my work this week or the following week, I will not be able to process my tax obligation yet, right? So will my ITR from my previous work be ok? If I am travelling with my family and we are all employed (we’ll support ourselves for the trip), do we still need to bring our birth certificates and our parents’ marriage contract? Thanks. Hello, I already have a ticket na for Nov 7,2017. When is the best time to apply for a visa? Ok lang ba kung this September na? Naguguluhan kasi ako dun sa validity ng tourist visa, sabi sa site ng embassy 3 months validity daw, sabi naman sa ibang blog 59 days daw. Thank you in advance and by the way, this is a great blog entry you have here. Keep it up and more power! You can stay in KOREA for up to 59 days, but you should use your visa within 3 months after ma-issue. So yes, pwede ka na magapply ngayon kahit November pa yung trip kasi valid sya for 3 months, but kapag nasa Korea ka na, dapat yung stay mo di lalagpas sa 59 days. hello, my cousin and I are planning to go to Korea next year. Just a little background, she’s still a student and I hold a Canadian passport. I will be shouldering all our expenses. I was thinking of giving her an Affidavit of Support that she can submit with all her other requirements. You think I need to give her my bank certificate and statement as well? Any insights would be much appreciated! Thank you. good pm. My family(we’re 6) just got our Korean visa, valid from Sept 8-Dec8, 2017. It’s quite sad coz we wrote the intended travel in Dec 27-Jan 1… I read that the validity is really 59 days but we’re positive that the embassy will consider our planned date of travel. That means visa will expire even before our trip. it’s ok for us to renew but when is the best date to renew? is it ok to renew earlier to give us time to prepare the stuff since its winter, Is October or November ok to renew? Will the embassy get angry with for not leaving on the given visa validity when in fact our travel is really sked during the Christmas season. Hi. Just wanna ask re EOCD visa. I had been in France last 2015 and had my Schengen visa valid for 15 days only during our trip. Is it considered under the EOCD Visa you are referring to? Do i still need to submit it to the embassy during our application for South Korea visa? Thanks in advance. If I got approved for a single entry tourist visa, is it possible to apply again for a D2 (student) visa again? How to apply tourist visa with family? hello, question. My COE states that it is for Bank Certification instead of Visa Application. It still has my Compensation Package. Will that be acceptable? Hi Cristine! Not sure. :( I think it’s still okay, but that’s just a hunch. Hi, question. My parents’ trip to Korea will be their first travel out of the country. Is there are a rule or something that they should have a previous travel prior to their Korea trip before applying for a tourist visa? Nope. It’s okay if Korea is your first international trip. Although there’s a bigger chance of getting approved if may past travel history talaga. Write a cover letter explaining that this is a graduation gift from your parents, declare them as your guarantor, and then submit their bank/employment papers instead. Hi. Same sitution. Same pa rin ba ng process ngayong 2019? Yep! Pwede pa rin yun. Hi, i have a bpi gold mastercard. Do i still need to submit bank statement (original or certified true copy of BS/passbook for the last 3mos)? Kasi ang nabasa ko bank cert and itr lang ang not needed to be submitted if u have bpi/bdo gold cc? Hi, I’m really curious. Totally no need to submit any financial document if you have a BPI Gold MasterCard? Maski credit card statement not needed anymore? Thanks! Hi! tanong ko lang po ilang months po need sa statement ng credit card (bdo)? tia! hi i would like to ask sana im a fresh graduate i dont have work yet and no bank accounts .. is it possible na maka kuha ako ng visa if ever ung boyfriend kong korean mag ssponsor ng lahat lahat ?? ticket food and sa bahay nila ako titira ?? Hi! It will be very, very difficult. Many of those in similar situations who messaged us were denied. Having your sister sponsor you might be your best bet. But we don’t know for sure. Hi! I’m in a pinch right now. I’m a graduating college student who’s also a freelance photographer. I work part-time and earn quite a fair amount per client and I get a lot in a month. My parents will not be funding my planned trip so I plan on submitting the requirements on my own. Do you think this will be okay? Will at least P50,000+ in my bank account suffice for a supposed 4day trip?? Hi EOS, yeah, like Kate, we also have friends who had funds a bit north of P50,000 and their applications were approved. Although to be honest, we don’t know how often it happens. What we know for sure is that if you only have that much in your bank account, you need to make sure you have all the other requirements. hi! what if i only have around 30k in my bank account but i will be writing my aunt’s name in the visa application form as guarantor, will that be okay? i’ll be traveling with her din. thanks! Hard to tell, but since you have a guarantor, there’s a good chance it will be approved as long as your aunt meets the requirements and can prove she can support both of you. Hi! I got my visa last December 2016 (thru the BPI promo) and planned to visit Korea with my daughter the same month. However, due to a family event that we can’t miss, we didn’t push thru with our trip. This November 2017, I’m scheduled to finally visit Korea, using the visa that I got last Dec 2016 (valid until Dec 2019). Won’t I have any problems/concerns? Will it not be an issue that I didn’t travel on my initial intended dates in 2016? Thanks! Hi Riza, as long as your visa is valid, I don’t think it would be an issue. I stumbled upon this article last summer and because of how detailed you outlined the steps, this made us decide to push through with our application. We applied last Sept. 26 as a group and we got our visa on Oct. 4!!! Hooray!!! Thank you so much for sharing all these information. This help us greatly on planning our SK trip this coming last week of the month, in time for autumn!!! Wow! Congrats! Enjoy the autumn colors!!! Hi. I’m pregnant and i want to have tourist visa in korea my boyfriend is korean. Is it possible that I can get tourist visa? Hello, just wanna confirm if I have bpi credit card and bank certificate is already waived does that mean i don’t also need to submit a statement of account? Thanks. Hello! Do we still need to provide a certificate of employment even though we have a BDO credit card? The details states that the applicant will be exempted from providing financial documents if he has a active BDO credit card. So does that mean we don’t have to provide certificate of employment? Hi. I’m a student and may problem ako sa requirements ng parent ko about sa bank cert. May nakaindicate sa bank cert kung ano ano yung mga included, hiningi ng dad ko sa eastwest yung bank cert and ayaw nila ibigay yung 6 months ADB kasi yun daw ang format nila and kita naman daw sa bank statement yun. Pano po kaya pwede gawin? You can still submit that. I just want to confirm something. We are planning to go to Korea in December. Originally, we only plan for a 4-day trip but it can extend longer. Pwede bang ilagay sa application na four days lang ang stay. Magkakaproblema ba kung lalagpas ng 4 days ang stay ko? Thanks a lot. Hi! You can stay longer than what you declared as long as pasok sa validity length nung visa. Hi, would P30k be enough for a 5-day stay? Also, what if yung ADB ko is not that high. madalas na winiwithdraw ko lahat ng funds ko from my ATM. And, pwede ko bang gamiting personal savings account yung Payroll account ko? Thanks for your assistance. Hi Sir, what it may savings account po ako nagkakalaman nmn po ung sahod ko po monthly kaso kinukuha ko rn po.tapos lalagyan ko po this month ng 25k.kukuha po kasi ako ng tourist visa for 5days.vacation po ng family ng bf ko.ok lng po ba un? I have all the requirements for tourist visa application for Korea except that I cannot provide a copy of business permit from the mayor, I have just closed my business last january 2017. What else can I submit in place of the business permit? I’m scheduled to get the result of my application on 2nd week of Dec. Can I still claim it even after the schedule given or I have to follow the date? Yes, if you are not available on the exact release date, you may claim it after the date, JUST TO MAKE SURE WITHIN A WEEK (for example, your original release day is Monday or up to Thursday, you may claim it up to Friday; if your release day is Friday, you may claim it on Monday the following week). I would suggest if you claim it after the release date, claim it PERSONALLY. But of course, I strongly recommend to claim it ON EXACT DATE if you really have a time or you are available that time. Ask ko lng po, balak namen pumunta with the whole family pero si mama at si papa is wlang work at kme lng ng sister ko ang may work pero naka base kme s UAE, parehas may account ang parents ko s pinas at kme ng sister ko ang bank namen is from UAE, tatanggapin kya po nila un for requirement. paano po b kme mag aaply if ever? Hi Jackie, feeling ko naman tatanggapin naman din un as requirements. Are your parents senior na? If so, may ibang set of requirements sila. Not sure where you should apply, kung sa UAE or kung pwede sa Pinas. Best to call the embassy. Hi! Last time I applied, past Korean visas are not counted. Hello what if my bank account is newly opened?i will open bank account this january and planning to go to Korea in february? Not advisable. They will see that you just opened the account in the bank statement and it will raise more suspicions. Plan namin ng younger sister ko pumunta sa SKorea this April, I’m a 2017 College fresh Grad while my sister is graduating high school this May, our mother will cover all the expenses, however, she is a businesswomen, so she doesn’t have employment supporting papers while my father is a government employee. Will an Affidavit of Support and Cover Letter (explaining that this is a graduation gift for both of us and will declare them as our guarantor) be enough to guarantee the approval of our Tourist VIsa? Nothing can “guarantee” approval. Will you also be able to submit your mom’s business registration docs since she’s a businesswoman? If so, submit those too because they and your mom’s bank records will be required. Hi Yan! I think the safer way is to have your brother sponsor you instead? ano ano pong requirements, kung si kapatid ang sponsor ng travel to SK? Hi Mervin. Di po namin alam pag unemployed kasi talagang requirement nila ang COE and ITR. Nirerequire pa rin nila yan kahit na sponsored ng iba ang trip. Hi, I just opened a bank account last Jan.9 and planning to apply a korean visa on April 10. Is there any chance of being aproved? Its 3months old by that time. Hope to hear from you or from anyone here with same scenario. Thank you. May chance naman but it depends on many other factors. Hi i would like to knowkasi friend ko mag apply sya ng korean visa but tax exempted na daw sya pano yun wala na syang ITR? Is this because of the new tax policy? 2018 lang yun na-implement pero ang ITRs are records of the previous year so hahanapan pa rin sya ng ITR from 2016 or 2017. Hi po. Just wanna ask if ok lang ba na local bank account ang gamitin ko for visa req? Or shud i open a new 1.. June po sana alis namin. Thank u in advance. Yep! Okay lang local bank account. What if i already have visa and my flight will be on march but my visa expiration date on Feb. 21 , what should i do? Hi po..just want to ask.. What if i got a VOID stamp on my Visa more than 3 years ago, and i’m planning to try again, Can i still apply for another one?. And on my application, do i need to declare that i got Void? hi. i would like to know po. in a multiple entry visa for 3 years, we have 030 days as period of sojourn. what does that mean? 30 days for the whole 3 years? or 30 days per enter in korea? hello! me and my brothers are planing to go to korea on march. We are planning to present our family company’s ITR and Bank statement, would it be okay? also, under the details of Sponsor section in the application form, should i check yes for “do you have anyone sponsoring you for visa?” since we are claiming that the company will shoulder all our expenses. sorry if i have a lot of questions. hahaha. thank you in advance. If you’re declaring that the company will be sponsoring your trip, then yes, you should check yes for that item. Hi! I’m a freelancer but the company I’m working for is based in the US. Will the sample COE letter apply to my case? Yep, that’s okay. As long as they can vouch in a document/letter that you work for them and provide details of your arrangement with them. Hi! Good day! I will apply for korean visa tomorrow, i have complete requirements. From COE, ITR, bank cert and statement, but I am worried with my amex card, having second thought of submitting it because i have used all my credit limit. Do you think, Will it be a problem? Thank you, your response will be much appreciated. Based on our experience, they would still require bank statement unless you have other documents that can prove funds. It has to be documented somehow. Hi I applied last January 23 and I was denied it said “I failed to qualify for the visa category I applied for”. I applied for a tourist visa under the employee category. And I plan to apply again what do you think should I apply under the self employed category because we have a family business. Is the family business named after you? Or can you produce any proof that you own that business in part? Because if you can’t, then I think you cannot use that business for your application. What documents did you present since we also have a family business I am worried now that I will be denied. Thanks! hi. i would like to ask, i’m a student, and my first cousin who’s an OFW ang magssponsor s SK trip ko, at kasama din siya, if anong papers ang pede at dapat naming isubmit for application of visa??? Note the requirements for students. In addition, submit your sponsor’s employment, tax, and bank documents. Not sure if non-immediate family members are allowed to sponsor, but if they are, they might also ask for proof of relationship. Hello. We have same situation. Planning to apply for a Korean visa on January. OFW ako, and I’m planning to sponsor my cousin. What should i do? How’s your application po? Ok lang po ba mgsponsor ang non-immediate familymember? Hope you reply po. Thanks. hi! Ask ko lang po kasi balak ko magapply ng korean tourist visa with my 3 years old daughter I have a Philippine passport but my daughter have a Nepalese passport because her father is a Nepalese. 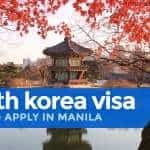 Pede ko Maya xa is a sa application ko Dto sa Korean Embassy sa Pinas…? TIA! hi! Ask ko lang po kasi balak ko magapply ng korean tourist visa with my 3 years old daughter I have a Philippine passport but my daughter have a Nepalese passport because her father is a Nepalese. 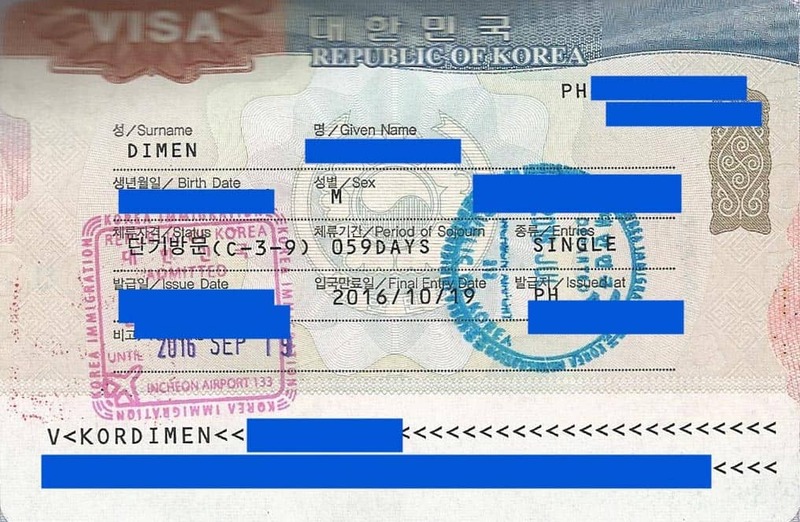 Pede ko kaya sya isabay sa application ko Dto sa Korean Embassy sa Pinas…Gusto ko kasi Osama sya.. TIA! Hi Elijah, I’m sure pwede, but if she’s using a Nepalese passport, there might be additional documents. Possibly, photocopy of ACR I-Card and Philippine visa. hello po. ask ko lang po sana kung ano ano requirements na ipapasa ko, kung ang brother ko sa italy ang mag sponsor sa akin travel to s korea? thanks po. god bless. un employed din po pala ako. pero may bank account naman ako. Hi! I’m planning to visit South Korea with my mom this coming April. She retired early because of health issues back then (breast cancer). This is her 10th year living as a cancer survivor so she decided to visit Korea as a treat. I have a regular job with around 30k salary, but unfortunately I only have 20k on my savings account. She has enough bank savings (around 1.5 m). Will we have a problem, considering that she doesn’t have a job and I only have a small amount of savings? Would there be a problem if she transfers 50k on my account this month and we apply for visa next month? Thanks. Hi Ciel. I’m not sure we’re the best people to ask because we haven’t been in this situation. How old is your mom? I don’t think your mom is going to have a problem because it’s easy to explain (through a cover letter) that your mom retired early for the reason you mentioned, and since she has big savings in her bank account, that should be enough to cover the travel expenses. The bigger problem is your bank account. Even if you add 50K, they will still see it on the bank statement. (But I guess that’s better than having 20K). However, since you have a stable job and this is a family trip, there might still be a chance. If I were in your shoes, I would just have my mom sponsor the trip, declare that on the form, and explain it further in a cover letter. You would still be required to submit your bank documents, but you would have your mom’s bank docs too to support it. Hi. My husband and I just booked a flight to South Korea in May 2018. But he doesn’t have work because I’m the one who is employed. Can he submit my proof of income and our marriage cert when we apply for visa? Hello po, I’m graduating on April 12 and our flight is on April 21. Will I apply as a student or an unemployed? My parents will sponsor my trip as a graduation gift. Also, I traveled to different countries na like Singapore, Hong Kong and Malaysia do you think it will increase my chances for the approval of my visa? If I am going to apply as an English Teacher in South Korea, what are the processes and kind of VISA I should get? Hi Jay. I have no idea. We’re only familiar with the tourist visa. how if you do not have ITR? Hi! Thanks so much for this blog. We will be applying as a family. Im a housewife also. Does that mean for me and my kids we can submit a photocopy only of my husband’s bank cert, ITR and bank statement? Yes to the first question. Re bank account, if by default the bank doesn’t indicate the ADB in the bank certificate, yes, you can submit that regardless. BPI is like that, and it’s okay. But please note that you will still have to submit BOTH the bank certificate AND bank statement. Hi! What if i’m newly employed (1 month) since i just graduated last year but i have been to korea twice before and have been to OECD countries like Australia, UK and Scotland, will i be denied? This is given that i will present my own savings bank statement and payroll account and other necessary requirements ( i might also attach my parent’s statements). Or is it ok to just submit my parent’s statements and state that they will financially support my trip? what if i don’t have an ITR yet since i just got employed in my first job? hi did the embassy calling banks to verify? Ang alam ko hindi, pero pwede silang humingi sayo ng additional documents kung may duda sila. I am newly employed but i have sufficient funds in my savings. (almost 100k). I will also use my parent’s details as my sponsor for this trip. Thus i will present their gold credit card and transactions, will I be granted a multiple entry visa given these conditions? Also do i need to present my own ITR despite my parents having a gold credit card? Your blog is very informative. I also have some questions and I hope you can help me. I am an OFW and I applied for my Korean visa here in the country I am presently working in. I will be travelling with my mother and she will process her application by herself in the Philippines. Kindly give me advise what documents I should present if I will shoulder her expenses. I am planning to send her my COE, bank certificate here in the country I’m working, and birth certificate. Do I still need to provide a copy of my approved visa, plane ticket, and a notarized copy of support to strengthen her application? Or a simple cover letter will suffice? By the way, my mother is 59 years old, unemployed, with bank account around 50k balance ( Isend her monthly remittance). She has been to HongKong, Macau, Malaysia and Singapore. Does she need to present her own bank documents as well? I know it could have been easier if we will apply together in the Philippines but I have a short vacation that’s why I applied here. Or is it better if I will ask assistance from a travel agency? Thank you very much. Hi JB! A cover letter and notarized copy of support will surely help her application. Yes, your mom would still need to submit a copy of her bank documents. Hello! I have already applied for a Korean VISA and received a single entry last August 2017. However, I was not able to use it for the whole 3mos validity due to personal reasons so now, I am re-applying and hopefully get to fly by April 2018. Would like to know if I am now qualified to fill out Section 2: Visa Issuance Confirmation although I have never been in Korea? Thanks po for the confirmation and swift response! YES. He should get another from his employer. Hello po. next week pa mag eexpire visa ko can I apply for a new one asap? Hi! Just want to ask if the embassy will accept appeals because I got denied but my girlfriend got approved. We submitted the necessary documents needed and we have almost the same answer on the application. The reason for my denied visa was ” The purpose of entry was not explained in detail”. We already have plane tickets and payed our lodging. Will they be considering it? Thanks in advance! Submit the requirements listed under HOUSEWIFE above. For the self-employed, doesn’t the COR serve as a substitute for the COE? P.S. By self-employed, I mean as a professional instead of a business owner. Hi. My wife and I both have a stable job in Bahrain. We are planning to travel SoKor next month. We are advised by the Korean Embassy here that we should have at least P200k on both of our bank accounts. Is it really that necessary? Thanks. The embassy’s rules change depending on the country. The rules in PH is not the same in Bahrain. If the Korean Embassy in Bahrain says you need to have at least 200K, then follow that because there’s no better source than the embassy itself. But that rule does not apply to applications lodged through the Korean Embassy in the Philippines. Hi i’m planning to apply tourist visa on August for my November Korea trip however it’s bothering me kase sa july i will file my resignation so yung buong month ng August is nag rerender nalang ako and last month ko na din sa work yun. Okay lang po ba yon? Is the Korean Embassy going to check my status as an employee sa company namin? Hope to get answer to this question. Thank youuu! Get your documents (COE, ITR, alphalist, etc) before you file your resignation. Tapos tsaka ka mag-apply. As for kung tumatawag sila, not every time. I think bihira lang un, kapag may duda lang sila. Hi po, I am a student and my father will sponsor my trip to korea. It says in the requirements for students that we need to provide an Alphalist. My father requested for it but it was not approved, confidential daw po kasi yon sabi nung HR department. Ano po pwede gawin? Hi! Is it ok if certificate of employment is not original? I mean i will just print the COE sent to me thru email? With signature of company owner? Thanks!! Hi! I will be travelling to Korea this coming April 26 – May 1. I have a Multiple Visa but it will end on April 30, 2018. Usually, the immigration will put 30 days of stamp on the passport. My only concern is, will there be a problem if I don’t re-apply for my Visa even though I’ll be coming back on May 1? Nasagot ko na ‘to sa kabilang page. Yes, kelangan ng invitation letter and photocopy of passport/ID of nag-iinvite na taga-doon. I think payroll account is okay basta maayos ung ADB and current balance. Hi! I am applying for a Korean Visa. I have an OECD VISA ( canada) but I wasn’t able to use it for some valid reason. Do I still need to get an ITR? Hi Bibi, they have a maximum number of applicants that they can entertain. When they reach that number, they will no longer accept anyone. What do u you show as proof that you have a Gold BPI/BDO credit card? Is it possible to deny kung nag graduate na ng grade 10 sa school, tapos hindi pa ulit nkaka enrol sa ibang school pero may School certification din naman,. Hi, my mother and I is planning to go to Korea next yr probably in the month of April. By that time, I will already graduate from school and is jobless (bec. I will be a fresh grad). Is it okay to indicate that I am still a student? Hi! I honestly don’t know the answer to this. But if I were in your shoes, I’ll apply as someone sponsored by my mom then include an explanation letter saying na this is a graduation celebration trip. Hi can i ask?.wla po kc akung itr ia2ply ko plang,nag wo2rk ako sa corporation ng ate ko,ok lang po ba na siya mag sponsor saken,yung bank account ko po lets say 100k po yung lamAn,ok lang po yung amount for 7day na pag stay sa korea,posible din kaya na magrant yung visa ko,thanks po..
Yep, okay lang yung 100K for 7 days. Pero kahit sponsored ka ng sister mo, malamang hingin pa rin yung ITR mo. Yun kasi experience ng teammate namin dati. 1. Is it possible to submit ITR from my previous job? since I am working now as part timer only means no tax, etc. or the ITR and Certificate of Employment with indicated salary should be tally? 2. How long it takes to get a personal bank certificate and original or certified true copy of bank statements/passbook? should it be requested this from my bank? Note: I am planning to apply tourist korean visa by July 2018. My boyfriend is working there 1 year already and invite me to visit korea since holiday there by 1st week of Oct 2018. 1. Yep. 2017 ITR talaga ung needed now kasi every year lang un. And yes, pwedeng tingnan nila kung nagtatally ung ITR mo and COE, so my reco is to write an explanation letter. 2. Madalas, within the day or the next day, makukuha mo na. Hi, may I ask for clarification: if I provide my ITR, do I still need to submit my form 2316 and company alphalist? The requirement posted on the korean website indicates, “ITR(Income Tax Return) or Form 2316 Copy and Company Alphalist (Form 1604 CF with BIR received stamp / please highlight your name)”. Thanks! I processed my visa application. Is it possible to have someone else claim my visa/passport? The thing is I’m far away from Manila and I’ll be busy during the release date/week. Hi. I’m newly married and I still don’t have any other supporting documents (except for marriage contract) to prove it. All my ids including my passport are still in single status . Should i put it in my application that I’m still single or married? Thanks!!!! Hi Wy, always declare the truth. So in your case, I think it’s best to declare you’re married. But just make sure you submit a copy of your marriage cert/contract and a cover letter explaining the situation. hi! i’m still a student and the one who will sponsor me is my father’s brother but my parents aren’t married and i’m using my mother’s surname should i attached a letter with my application about my scenario??? Hi Chinchin, I’m not sure if nag-aapply to sa Korea pero sa Japan visa, what they would recommend sa ganyang situation ay magsubmit ng birth certificate mo + birth certificate ng dad mo + birth certificate nung uncle mo. Having all 3 BCs will prove your relationship with your uncle/sponsor. Something like that. That’s just me, though. Does every one need to submit a birth certificate? I’m not a minor or a student, just an employee. I was invited by a Korean institute which will pay for everything. Di naman listed ang birth certificate sa requirements pag employee. HI! 100 thousand per person? because we are three …two adult and one child (5yrs old only) thanks. Hi! I’m a first time traveller. also a student. and got my invitation letter from Korea, in our Ministry. Paano po kung kaka opened lng po ng parents ko ng passbook s bdo? Is it valid? yun nlang po kulang s requirements ko po eh. flight po sa july 22 na. at mag pprocess n po kmi ng visa this may. bayad n po ako s reg fee ,accomodation, food, and ticket. hnd ko po ksi alam noon e. 3 mos po pla s bank account. Requirement kasi talaga nila yung 3-month history ng bank account. Tinitingnan kasi nila ung maturity and ung activity ng account. If your trip is sponsored by your ministry, you can try getting a letter from them instead and other proof of purpose of travel. Pero walang guarantee yun. Hi! Employed ako pero mom ko yung magsponsor ng trip ko. Pwede bang yung bank statements ng parents ang isubmit? Onting funds lang kasi pag account ko e. Thank you! Yes, i-declare mo lang that your parents will be sponsoring your trip. Then submit both your parents’ and your own bank and employment documents. hello, i’m applying for visa and my aunt is supporting me and she is working s an ofw in the middle east but i will not be able to give her coe neither a bank statement will that still be applicable??? There’s a big chance your application would be denied if you couldn’t provide those docs. Good afternoon,, ung mom ko po is may bank account pero joint account po siya pero sa kanya naman daw po mainly nakaname pwede po ba na un ung ipasa ko??? I’ve tried submitting a joint account bank cert & statement before, naapprove naman. So I think di sya issue as long as okay ung ibang requirements. Hi! I am employed but my mom will shoulder all the expenses. Need ko pa ba isubmit bank statements nya or any supporting documents from her? Thank you! Yep, you will need to submit both your own and your mom’s financial and employment documents. Follow up question po. Pano if walang employment documents mom ko? I mean, we own a land and nagtitinda ng fruits and veggies ganon. Hi! I tried calling the embassy and tinanong ko if need pa ba ng bank statements of my mom kasi sya yung mag sponsor ng trip ko. Sabi nung nakausap ko, I only need to submit affidavit of support and no need na ng bank statements. I also can’t provide employment documents ng mom ko kasi wala syang work. Parang may business lang kami na nagtitinda ng fruits pero hindi din registered. I am employed btw. I’m confused. Hello! I am a fresh grad, graduated Feb 2018, so technically unemployed right now. I plan on going to South Korea this June 2018 with my friend. My mom is financially capable and will be sponsoring my whole Korean trip, sort of like my graduation gift. I also have been to South Korea twice in the past five years though that was when I was still a student. I plan on applying as a student, following the requirements for students but my main problem is the School Certificate since I am not enrolled anymore. Any advice on what document I can use instead of the School Certificate? Hi Giselle, if I were in your shoes, I’d just submit a cover letter telling the truth and explaining that I recently graduated and that this trip is a graduation gift from my mom. Then submit an affidavit of support from your mom. Hi Kat, it could be any of several other factors. We’d need more details to form an opinion. What did you declare as your purpose of travel? To tour or to visit someone? What did you declare as your accommodation in Korea? A hotel or a friend’s address?  I just wrote tourism as my purpose of travel in the application for. During my first and second application ( that was granted ) I also indicated that it was for tourism but with letter of invitation and with a guarantee that my friend will help me with the accommodation( with their home address ) On my third application , I applied without an invitation and with tourism/ travel as a purpose. By the way since I was denied last November , I went to Jeju island last January to experience winter and last April for the cherry blossoms. SO technically i’d been to Korea four times already. Hi I would like to ask regarding the employee category, since I am a contract of service/ contractual, would I be denied? Hi Inah, not necessarily. I’ve applied as a freelancer/contract-basis before, naapprove naman. Although, un nga, mas strict daw ngayon. You can submit other proof of income/employment to be sure. Hi Patricia, I’m not sure. I think your tita should provide the docs. For good measure, you can also submit an affidavit of support from your tita. Hassle pero mas binding yun kaysa simpleng letter. Hi Tanong ko lang kailangan daw ng school certificate sabi ng agency but my son graduated already last March at timing din na enrollment ngayon so the school wouldnt entertain school cert for visa and they would be releasing their diplomas after 6 months pa,whats the best alternative to do? Hi Mary Ann, it doesn’t need to be a diploma. According to some members of our FB group who were in the same situation, they were able to secure a certificate (a letter) from the school stating that the kid studied at that school within a certain period. The embassy will understand that it’s school break or you can write a cover letter pointing it out. But you will still need some sort of certificate from the school. I didn’t experience this. Just relaying info. Hi! Ask ko lang po regarding sa ITR. Pwede ba ung walang BIR stamp? I went to their office and they said it’s already valid even without the stamp. And regarding din sa COE, okay lang ba kahit walang compensation at company address na nakalagay? Or okay lang na gumawa na lang ako ng cover letter to state the missing information? Advice naman po. Thank you! Hi I’m planning on applying for a visa here in Dubai (and obtaining requirements here) but I’ll be flying to South Korea from the Philippines. Would that be alright? Hello! I am applying for a Korean visa and I am still a student and I just wanted to ask if it is okay to pass the bank certificate and statement of my sponsor or should it be my parent’s bank cert and statement only? Thank you! Have a great day! Hi Maya, if your parents have sufficient funds in their account, best if parents kasi it won’t raise as many questions. Hi! I’m currently working as a caddy but I dont have ITR and ayaw mag issue ng company ng COE cos our job is not considered as their employee. I have my bank account po and my trip will be sponsored by my boyfriend which is korean po. I have all the docs po pati ng sponsor ko yung ITR and COE lg po kulang. May chance po ba ma grant visa ko? Im planning to apply on august. Any help and advice will be considered. Thank you po. Hi. Nice read! I’ll be travelling to Korea this November and the only OECD country I have visited is Japan last November 2016. I was a granted a single-entry VISA for that. I am a bit confused about the “frequent traveller” tag. I’ve been to Japan only once and have never been to any other OECD country, and from my own understanding, in order for me to qualify as a “frequent traveller”, I must have visited an OECD country “more than once” within the last five years. Since it says in the Korean Embassy website “OECD visa/s and arrival stamps”, I assumed that you have to have travelled more than once. But since I’ve only travelled once to Japan, I’m really confused if i will be considered as a “first time traveller” or a “frequent traveller”. I’m worried that this might jeopardize my trip, because if i consider myself a frequent traveller (btw, i will be applying through a travel agency because i live in Palawan), i might get denied simply because i just fail to satisfy the requirements of a frequent traveller. Do you think i should just apply a first time traveller and disregard my single-entry OECD visa? Do you think I should submit the photocopies of my Japanese VISA and still submit the ITR and the Company Alphalist just to be sure? I would like to solicit your thoughts about my predicament. Thank you very much. Hi Markie, according to our go-to travel agency, if you have a USED OECD visa, even if you only have one (as long as it’s used), there is no need for an alphalist. I’m just relaying info, by the way. I’m not sure, either. What I would do though is still get an alphalist if I could, so if in case they ask for it, I’d be ready. It’s so hard to apply these days. Better be ready for anything. the OECD thing is a little bit confusing, I have been approved for a single entry Visa in Korea last year. The question is, will it be considered as an OECD visa that exempts me from submitting the ITR. Hi AJ, in the past, the embassy website explicitly says that past Korean visas are not counted as OECD. That bit of info is no longer up on the website so I don’t know if that still applies now. Thank you for your response. Yes. I’d also secure the company alphalist just to be sure. you’re right, it seems more difficult to apply nowadays. I’ve read horror stories how some applicants were denied a visa when they’ve already been to OECD countries and have a considerable amount in their bank accounts. Good luck, Markie! And thanks for visiting our blog! Hi Mitch, just wait a little bit more. Most applications are assessed individually talaga. Hi. What do you think is the minimum ADB that they require? Is 10k enough? They don’t say. But 10k might be too low. Hi Yosh! I’ve overheard my boss this morning mentioning the words “alphalist”, “embassy” and “2316” while having a phone conversation. Rings a bell. Out of curiosity, I asked him if he would be going to Korea. Turns out he was sponsoring her daughter for her Korean visa application. My boss has a used Australian VISA for his travel last year. Is he exempted from submitting the ITR and the company alphalist? Thank you. Btw, he also has BDO Gold. Hi Markie, yep, he himself is exempted from submitting an ITR if he’s the one applying/traveling. But if it’s his daughter applying, I think he will still have to provide those unless may supplementary card yung daughter. I’m not that familiar with the rules surrounding the card coz I haven’t done it myself. Thanks! I just told him to request for a copy of the company alphalist and submit everything. baka masisi ako kapag sinabi kong pwede na OECD visa nya. Hehe. Thanks ule! Yep! And always better to bring whatever he can kasi mahirap na. Ang hirap pumila sa Korean Embassy ngayon. Sayang ang time if babalik pa.
Hi Jeny, it all depends on how well you can provide the requirements. If they can provide all the requirements required from sponsors, that’s fine. In my opinion though, I believe having someone sponsor your trip complicates things. It’s much simpler to apply as someone shouldering own expenses. However, that only works if all requirements are met. Hi I have a previous USED korean visa (single entry) is it considered as a OECD visa? that would exempt me from providing an ITR. Hi AJ, in the past, the embassy website explicitly says that past Korean visas are not counted as OECD. I don’t know if that still applies now. I am invited by my korean friend to visit in SK June 30 and he will cover all the expenses. I don’t have any bank statements/ certificate to present as it was newly opened account ( 2 mos ago ). Will it be okay if I submit a copy of a bank statement/certificate of my sponsor -my Korean friend? Our travel date is on September 22-29. Can I apply on June 28? I’m confused if the start date of the visa is the date when you applied or the date it was issued. Hi.. schedule ko po sana ng application of korean visa bukas. Ang problema yung bnk certificate ko bukas pa mailalabas kase isa lang nk duty na pipirma na bank officials. Bukas pa mapipirmahan. Ask ko lang if pwede bang to be follow up yung bank certificate providing a letter na maisa submit ko din within the day. Balak ko kase mauna ako sa embassy then yung friend ko ang kukuha ng certificate ihabol nya nalang sa akin. Hi! Meron na po ba may alam na case, na after mag apply ng visa (approved) nagresign sa work? Wala naman po bang naging problem? Plan ko kasi mag resign after magpa visa. Thanks! ‘Yung potential na magiging problem mo is Immigration. Usually, ina-ask kung ano work mo palabas ng Pilipinas. Hihingian po ba ng COE pag sa immigration? If you get picked for secondary inspection, pwede sila humingi ng COE. mahihirapan po ba sa immigration pag nalaman na nag resign ka bago lalabas ng bansa? Pwede, kasi baka isipin nila na maghahanap ka ng work dun. Hi! My son and I will be applying for a Korean Visa. I would like to ask your opinion regarding the portion for EDUCATION. My son’s graduation is on June 29, 2018, so technically he has no Bachelor’s Degree yet. And under EMPLOYMENT, we checked STUDENT (he already has a certification from the university) Is it right if we will just check OTHERS and explain that he is yet to graduate on June 29, 2018. Thank you. Hello, I just want to ask if business visa to Hungary is already considered as an acceptable Korean Visa Requirement for visa to OECD country? I’ve check bdo website and it says there that they extended the tie up with bdo bank only until Dec 2018. So I can use my bdo gold credit card. Even ifthe I dont have bank statement and bank certificate? we are applying family visa.. but i forgot to secure school certificate ng anak ko kc bakasyon na.. report card is okay kaya? or any proof na shes studying on that institution? You can write a letter explaining just that. But yes, if walang school cert, you can submit other documents to prove it. Your blog is very informative! Thank you!! By the way , I have some questions tho..
* Is there a possibility that you’ll get denied sa visa application if less than a year ka pa sa new work mo? Even though you can submit your ITR from your previous employer. * Since I just got a new job this year. For the alphalist with BIR stamp. What alphalist do I have to submit? From the previous or current company? I’ve heard na e attached yung alphalist mo sa ITR. I’m confused. Please advise. Thank you so much!! Regarding being with your company for only less than a year, I don’t think that would be a problem. On my 2nd application, I was in the same situation. I just moved from one company to another. So I just wrote a cover letter explaining that. Same with the alphalist. I’m not sure which one is the right one to submit, but either way, just write a cover letter to clear things up. Hi! I don’t know if you have any experience on this but I would like to ask a question regarding application. I will be applying for my 4th Korean visa (first 3 were approved) but this time, I only have a few days left before my actual departure to Korea since the trip was spontaneous. I am leaving on July 6, 2018 (Friday) but I will be applying for visa on June 29, 2018 (Friday), so exactly a week before departure because one of my requirements will only be issued on June 28. I have OECD so the processing time will only be 3 days so by July 3 or 4 I should be getting the result. My question is, the fact that I am applying only a week before my actual departure date, will it negatively affect my chances of getting an approved visa? I am confident that my requirements are complete and I have sufficient money to shoulder the trip. It’s just that the trip was really spontaneous. Hi Anne, no. They’re used to cases like that. Yung last application ko ay tight din. Hi SP, I think makakatulong yung Affidavit of Support kasi I think binding naman yun if notarized. I would do the exactly the same if I were in your case. 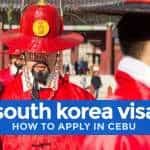 HI, ARE MANILA RESIDENTS CAN APPLY IN KOREAN EMBASSY – CEBU ? I WILL BE ASSIGNED IN CEBU FOR ABOUT A MONTH. Hi! Will it be ok to go to SK a few days before the end of the validity of the visa? I plan to stay for a week and my return would be beyond the validity of the visa. I read somewhere that your return to the Philippines should be within the 90 day validity period issued for the visa. Hi! Would you know if, for the Bank Statements, I can use the ones generated by BPI Express Online? The requirements kasi state “Original or certified true copy of bank statements” — which I’m not sure would cover something I printed off from BPI’s portal. Thank you! PS – Would you have any idea how much “show money” would be somewhat acceptable for a 12-day stay? I’d be super grateful for any input! Hi Michelle. I haven’t tried submitting a BPI account for a visa application, but from what I know, if BPI Express, you will still need a copy from the bank itself. You’ll need to call the hotline and request for it, and then pick it up at a BPI branch. Hi…i have a problem with my dti..there is a discrepancy in my middle name…what should i do? Will i be able to apply for a korean visa? Regarding the new rules with Korean Embassy. Does it affect the Visa promo of BPI and BDO Mastercard holder? Can I still apply directly in the Embassy using one of the MasterCard? Hi Tezah. Via agency na rin yung BPI and BDO promos, I think. Hi! It is said that we can still apply directly to the Embassy in Cebu. Can my cousin run the application for us? Thank you for your answer. Hi! I think so, yes. Basta complete ang requirements. Hi! Okay lang po yun. ‘Yung isang apply ko, nasa Singapore yung office na binigay ko sa COE. Marami pong salamat! Pwde din po kaya na yung office address sa SG yung gagamitin ko? Or pwde po ba na hindi magkaparehas yung office address sa ITR tska sa COE? Lumipat po kasi kami ng office. Hi! I’m a fresh grad po, and still reviewing for my board exam this upcoming September, and I will also take the NMAT on October for medical school admission next year. My family plans on going to South Korea on December. Basically, for the time we’re supposed to apply for a visa, I do not have any work yet. But my parents are going to support my finances. I’m scared of not having my visa application approved. What documents do I need to present to the embassy in my case? I’d really appreciate any replies, thank you very much! Hope you could help me. Hi Icy, what month will you be applying? If I were in your shoes, I’d write a cover letter explaining the purpose of your trip and your situation (that you’ve just taken the NMAT, etc.) and then submit proof. I’m not familiar with NMAT but is there anything that you can submit to prove that you’ve just taken it and is just waiting for results? May I ask if a Manning Agency can apply Transit Visa for Seafarer through walk in application ? Hi! Currently, I’m unemployed and just waiting for my review for Architecure board exam which will start on Sept 3. But our travel date will be on August 31. I’m afraid my Visa application will be rejected. I already have a certification from my review center which states that I am enrolled and the details of my review. I also have my review center ID. What are the other requirement that I should pass? And also, my father will support my finances for the trip. But he will not travel with me. I will travel with my sister and mother only. Is this possible? I can also produce my own bank certificate for back up docs if ever needed. Would really appreciate for you reply. Thank you. Hi vek, I think you still have a shot at having your application approved. Just write a cover letter explaining that you’re traveling with family and that you’re currently taking a review program for the board exam. Then send a copy of your review center ID and certification. I don’t know anyone who’s in the same situation but I would certainly do that if I were in your shoes. Note that you might still need to submit your own bank cert in addition to your dad’s documents. Hi Mhey, if unemployed, mahihirapan talaga maapprove unless may valid reason (retired, student, etc.). I am currently working at Dubai and wishes to visit Korea on September 14, 2018. One of the requirements on applying visa here overseas is your Dubai visa should be valid for 6 months on the date of travel other wise you should get visa from your country of origin if youare not a uae national. My visa will expire on march 01, 2019 so i will be short of 2 weeks. how do i process my visa in the Philippines if I cant do it personally. Also, if I can how are the procedure and requirements? Hi Daryl, you can contact a travel agency or ask someone (a relative or a friend) to ask on your behalf sa travel agency pa rin. Di naman kelangan ng personal appearance pag nag-aapply. 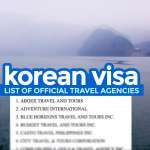 As for the requirements, same lang din ng requirements as listed here: https://www.thepoortraveler.net/2018/05/new-korean-visa-requirements-application/. If hindi nagaapply, kung ano equivalent sa Dubai. Example, instead of ITR, you can send a copy of nung tax docs mo dyan sa Dubai. Hi. My boyfriend and I are both freelancers. Our travel date is Aug 16, 2018. We are music teachers and we offer home based lessons so wala po kaming ITR and certificate of employment na mapapakita. We’ll just make an explanation letter regarding our concern pero ano pa kayang pwede namin ipakita na proof para ma-approve kami? Will it help kung may friend kami na nasa Korea tapos papagawa kami ng letter of invitation sa kanya? Would really appreciate your reply. Thank you! Hi Gen, kahit na may letter of invitation kayo, they would still assess your application based on your personal situation (financial, employment, etc.). You can try making an explanation letter bakit wala ka ITR and then hingi ka ng letter from your clients (or sulat ka tas papirmahan mo lang sa kanila) certifying na hina-hire ka nila as music teacher. Pero no guarantee yan. Mahirap kasi talaga pag walang employment proof. I’m a Filipino passport holder, residing in the Philippines. I will be attending a conference in Korea, August this year. However, I’m coming from Japan since I have a 10-day short course there. Can I apply for a Korean passport here in the Philippines? Or I have to apply for a Korean Visa in Japan? Hi Cherry, you can apply here in PH. 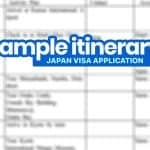 Just make sure you’ll give your application enough time before you leave for Japan so you have your passport with you. Hi! I have a friend and na deny ang Korean Visa nya this July lang, but sabi nung agency nya mag re-apply daw agad ulit after a week yung friend ko sa Korean Consulate sa Cebu at yung agency parin ang magpprocess. Is it possible na pwede agad mag re-apply kahit hindi nasunod yung “after 6 months” na rule? Hi Tala, as far as I know, may 6 months na rule talaga. I’m not sure if di nag-aapply yun if sa Cebu mag-reapply. Hi i have a business here in Philippines and i also complete all the documents they need for tourists visa i provide bank certificate, bank statement, Business permit, DTI, ITR, i have money to travel i have business here in Philippines i can prove to go back here i also went to other countries here in Asia. 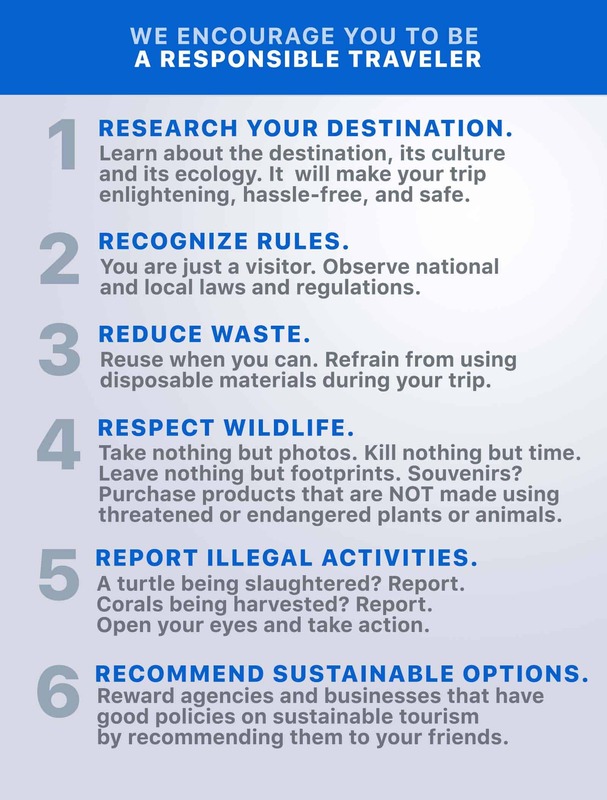 My reason to travel is just for tourists. I am wondering why they denied me they also ask me one year bank statement i send to them but they didn’t approve my visa application. My question is why? I would like to ask too who are in charge in korean embassy (filipino po ba) because i am really wondering why they should give me reason why they denied me. Can i call the korean embassy to ask what category of visa do i need to apply for. Thank you and i hope to hear you soon. Hi! How many days yung inapply mo? But yes, you can call the embassy to ask kung ano category dapat apply-an mo. Hi Yoske! We’ve been to South Korea 1st week of July 2018, thanks to your great blog! However, is there a timeline when we could apply again for SoKor visa? Since it’s a single entry visa, we might want to try applying for multiple entry. Pwede bang mag apply agad after ma-expire yung single entry? If not, how many days or months? Thanks in advance and more power to you and your blog! Hello Yoshke. I will be submitting our (family of 5) requirements here in Cebu. I just want to be sure if the cover/explanation letters should be addressed to The Consulate of the Republic of Korea in Cebu. Thanks! Hi! I have a live in partner who’s working in Singapore for almost 8 years now,we have a son turning 6 this August,we are applying for a korean visa and plans to go together, what are the requirements needed for a housemom with no work,no itr but i do have a bank account the source of income is from my live in partner in singapore. Do i still have to request for affidavit of support for me and my son? Hi Bianca, I don’t know for sure but yes, I think you would need an Affidavit of Support. I’d also write a cover letter and explain my relationship with the sponsor, if I were in your shoes. Hi ask ko lang po kasi mag-apply po kami ng visa sa December and yung flight is Jnauary next year. Yung mama ko po kasi employed siya kaso wala po silang HR. Bale yung pinka-boss siya na rin pong tumatyong HR at nagpa-process ng pag-recruit at payroll. Paano po kaya ang gagawin sa certificate of employment?